Lying is considered a moral offence. Sometimes a lie is even considered healthy if it saves someone or contributes to a good cause; which is why if you look up all our laws there isn’t one against lying. It’s an offence to lie only under oath in a hearing. This is the greatest protection under which our news media thrives and makes its living. As Howard Beale would tell you: “TV is not the truth, it's an amusement park....We lie like hell”. In an earlier post I mentioned Vikram Chandra of NDTV lamenting the degeneration of news. Following the arrest of ZeeNews editors in an extortion case we had more soul-searching in the media. Who else but Rajdeep Sardesai could have tweeted: “I guess journalists are more feared today, but sadly less respected. We are more arrogant, less ethical. Gnight”. (Nov 28) More feared? Nobody fears or respects journalists anymore, that’s the reason Jindal group screwed the morons from Zee. Rajdeep’s channel also has the brand name IBNLive but he might remember that it often earns the nickname CNN-IBNLies. 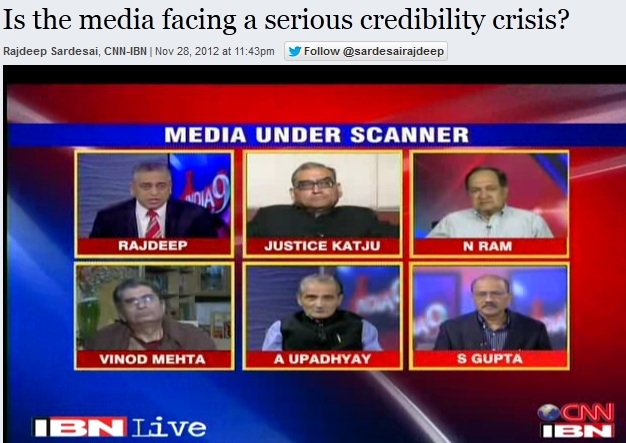 So on Nov 28 RS once again does a show “Is the media facing a serious credibility crisis”? “In February 2003, a Florida Court of Appeals unanimously agreed with an assertion by FOX News that there is no rule against distorting or falsifying the news in the United States… During their appeal, FOX asserted that there are no written rules against distorting news in the media. They argued that, under the First Amendment, broadcasters have the right to lie or deliberately distort news reports on public airwaves”. There! You see, that applies to Indian media too. The Fox case was actually against reporters hired by them and not enemies. Lying, falsifying reports, distortion are not crimes. This gets even better when it comes to Gujarat. So, in keeping with the tradition of the last decade CNN-IBN first sends out the Social Genius, to Gujarat on a mission to find out the condition of Muslims in the state. Then on November 29 RS runs a show on why Muslims are being ignored by BJP in the state. CNN-IBN has well and truly joined the election campaign. “Today's establishment media practice very little journalism and they devote minimal resources to reporting actual news… They spend most of their resources to create a false reality for the public while they distract you from the most important issues facing our world. For all practical purposes you can safely say that the reality portrayed by the establishment media bears little resemblance to the actual world in which we live… An easy way to think of this is that the people in the establishment media are holding up an orange for you to look at while they tell you that it is an apple…. Lies come in many forms. Partial truths, selective facts, out of context quotes and information, partial historical perspective and out right misrepresentation of facts. It is easy to manipulate the public. If you become aware of the methods of deception you are better prepared to sift through the propaganda for the few facts that are actually made available by our broadcast our news media”. RS seems to have little problem with the massive appeasement policies of various govts including the GOI towards the Muslims. He has problems only when Muslims in Gujarat aren’t given tickets for the election by the BJP. It never bothered him that all the MPs from Delhi are Hindus voted by Muslims too from a party that indulges in Muslim-appeasement. Election tickets are a political issue. Tickets are issued also based on political manoeuvres of the opponents. The most condemned politics in recent times, even in the media, has been the politics of caste and religion. Rajdeep seems to still live in an era of Madhavsinh Solanki’s KHAM theory in Gujarat. The theory that made Gujarat voters dump the Congress. But fairness to the population or fair representation is hardly Rajdeep’s motive. The simple motive is to trash BJP and Narendra Modi any way he can; which is what he has been doing the last ten years. He either wants apologies from Modi or portray Muslims as being discriminated against in Gujarat. This, at a time when even Muslims are beginning to acknowledge they have suffered more at the hands of other parties. During the HT Summit in 2007 Rajdeep asked probably the dumbest question a host could ask. He asked Modi if Gujarat’s development reaches its entire people or only the Hindu majority. Modi responded by asking if water flows in the Sabarmati does it cater only to 90% or to all the 100% whose lives depend on that water. Rajdeep also used that occasion to reiterate the “Mass murderer” tag for Modi. He also used the term “Hero of hatred” to describe Modi. With all this animosity and hatred within him, on what grounds does Rajdeep even consider himself morally fit to question any decision of Modi? But hell, its election season and he has to do his bit for the campaign against Modi. And Muslims have been such a phenomenal tool for the media just as they are for certain political parties. And if that wasn’t enough there is Shweta Bhatt, wife of Sanjiv Bhatt, who will now contest on a Congress ticket against Narendra Modi in Ahmedabad. Excellent! Nothing wrong with that. She is the wife of the “Super cop”, the “top cop” and the “whistle-blower” so touted by the media. On Rajdeep’s very channel Sanjiv Bhatt called Modi a “common criminal”. So thrilled was CNN-IBN that they kept playing that sound-bite over and over again. The SIT on Gujarat riots rejected claims of Bhatt and yet the media kept backing him. The whole world suspected then that Sanjiv Bhatt was nothing more than a Congress stooge. Some of his affidavits were even reported to be drafted by a reporter from TOI, Manoj Mitta. But Rajdeep and his colleagues suspected nothing. Must be all those emails Bhatt was sending him. After all, he is Numero Uno when it comes to political analysis. And this guy talks about Muslims in Gujarat? Pathetic! As far as I know, and I know with a certain authority too, that Muslims in Gujarat are much better off than in many other states in India. 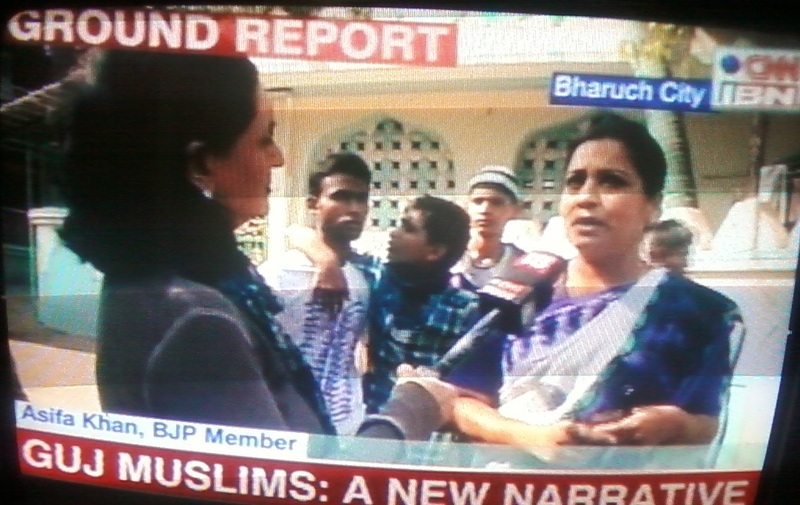 The few streets and gullys that CNN-IBN and other channels show in their reports are not unique to Muslims. These can be found in other communities too in Gujarat where the poor live. Poverty hasn’t disappeared from India and it hasn’t totally disappeared from Gujarat. But guess what, at every opportunity CNN-IBN will be there to rake up old wounds under the garb “Gujarat Muslims: A new narrative”. The title is as deceptive as it possibly can. The manner in which both Sagarika and Rajdeep have been screaming about Muslims are nearly attempts to divide a state on religious lines and sowing seeds of communal disharmony. It can also amount to provoking Muslims with fears where there are none. Is there nothing else about Gujarat other than Muslims? Should that be the only factor that should decide elections? Has Rajdeep ever asked why there has never been a Muslim Nobel winner from India? Surely, day isn’t far off when he blames Modi for that too. Someone did give an answer to the Social Genius on her journey of malice. Asifa Khan, a Congress member who recently joined BJP, told her: “A foot soldier from BJP is doing much better than a Congress MLA or Congress MP would have done”. I don’t think Rajdeep is going to hunt for a deep explanation why Congress is held in such contempt in Gujarat. Truth might be that the conditions of Muslims in a Muslim-ruled J&K maybe far worse than Gujarat. I doubt CNN-IBN or the Social Genius is going to do a show on that. As for the moronery of the husband-wife duo what says it better than Akhilesh Yadav, whose six months in charge of UP have seen 9 communal riots being their Indian of the year nominee? A bunch of bigots whose hatred for Modi and prejudice against Hindus have often coloured the vision of CNN-IBN. This isn’t the first time. And then Rajdeep wonders if media is facing a credibility crisis. The problem for him, as also many other media celebs, is that they haven’t been able to juggle their work of putting out the bare minimum news with facts and that of their political agenda. Rajdeep, Sagarika and CNN-IBN have just joined the election campaign in Gujarat. It’s your guess which team they are rooting for. Right behind them is Headlines Today too. It’s only begun. Few months ago when Rajdeep was being asked by Twitterati to report on the Emergency anniversary on June 25 he hit back with a question. 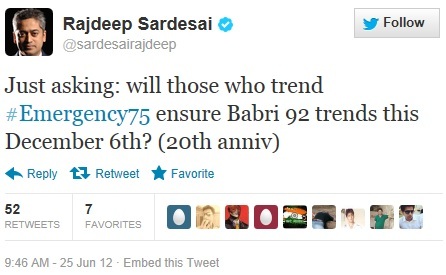 He asked if the same Tweeple will remember Babri anniversary on December 6. He’s in luck! This time December 6 is just around the eve of Gujarat elections. Someone will be there to exploit it for added impact in Gujarat. Guess who? Whats your view on the new Tulika advertisements on all our "news" channels? The hatred for Modi, by these Media Morons is well known. And they are not mistaken when they assume that public mindsets can be confused (if not modified) depending upon the lies you reiterate on regular basis. Even from your previous post it can be well understood that they never accept Pakistan to be their enemy next door; but they do find Modi unacceptable. They call Modi a 'Mass Murderer' and according to them he should be punished by all the world authorities; but Parvez Musharraf is a hero for them, who was the main perpetrator of Kargil. I am very sure that will definitely get a severe punishment depending upon their 'Karma'. I can agree that most of the mainstream media is slanted against modi. But you can't deflect a genuine questions about how the bjp is unable to find a single Muslim candidate forthe elections. The same bjp managed to find Christian candidates for Goa elections. And simply comparing with congress saying they have treated Muslims badly is no way to whitewash bjp's conduct. Truth is despite the sadbhavana , there exists a deep anti Muslim feeling in Gujarat , and if the bjp does the unthinkable, probably end up kissing it's votebank goodbye. Firstly, Goa has long been a Portuguese outpost and therefore cannot compare the populations. If there is Anti-Muslim feeling as you suggest, then maybe the Muslims should also wonder why? Do not imply that 90% of population operate out of a prejudice. Other than that the question can also be asked of Congress .. if they can seek a Sikh PM why not a Muslim PM.. That question would be just as stupid. I am not saying 90% of Gujarat are a bunch of bigots, and yes, many Muslim groups and fundamentalist organisation are responsible for the anti Muslim feeling that has now been created in the state. But is the bjp implying that there isn't one Muslim candidate who is as capable is the other Hindu candidates they put up? I'm not asking them to put up a Muslim candidate simply to show they are Muslim friendly, but a efficient candidate who happens to be Muslim? Also I didn't quite get what you meant by Goa being a Portuguese outpost, does that mean anti Christian feelings aren't there too? 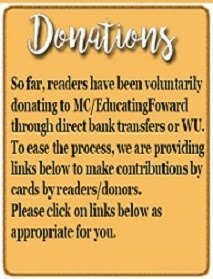 So now charity and rewarding not on merit is the way to go? I still fail to see why should we seek a Muslim candidate. We need to seek a candidate who fulfills the aspiration of the people who elect him/her. But as they say, if we are jaundiced with prejudice, we only see what we need to see. That is why, we are more interested in seeking a muslim candidate and not the "right" candidate. Says a lot about us to when we make such remarks. Read what has been written above. I'm not asking bout charity. Why has the bjp been unable to find n field one single capable candidate who's efficient and also happens to be a Muslim?. Too difficult to find one efficient person from 10% me the populace? Thanks for asking a relevant question. Its logical answer could be this : After being projected by the Indian Media as Anti Muslim for 10 years & winning state election repeatedly, it's no longer a priority for Mr Modi to be projected as minority appeaser because our beloved Media will anyways still find a fault with that too. But you are right in your arguement that he should have fielded atleast one educated, uncorrupt, hard working nationalist muslim candidate, as a symbolic gesture to give clear message to muslims elsewhere in India about his developmental politics. Why congress did not find a Sikh/Buddhist candidate in Gujrat? Do you know in the US , despite having a sizeable Indian and Hindu population , the first Hindu elected representative happens to be Ms Tulsi Gabbard , who is not of Indian origin...and she was elected recently only.....I find this perfectly okay , merit should be criteria , not your religion or caste or anything else. In India , most parties will field a candidate who will get "elected". Why do not they ask the same question of Omar Abdullah? Why not a single Kashmiri Pundit??? The only criteria should be merit and not religion or caste. @ Ashwin Varghese: not as simple as that. The BJP has been so maligned in the country that they dont have the pool of Muslims to choose from. So even though Gujarat may have 10% Muslims, it does not mean that the BJP or Modi would have as much to choose from. Muslims are trying to build their lives - they are currently not so politically involved as lets say a Patel would be, so much more difficult to find a candidate who will be able to deliver a win. Another important thing to look at would be how many Muslims fielded from Congress won-if they did not it can be said that Congress also could not find winnable Muslims as much the BJP- however the former gave them tickets in the name of tokenism - if one is losing why not lose doing some tokenism so that the rest of the country thinks you care about Muslims? Modi could not have engaged in tokenism - even two seats lesser than previous election had people in media gunning after him as if he had lost the election so fielding 7 Muslims like Congress who would later lose would have been suicidal. The point is that your question is wrong- it is not about giving tickets to Muslims- it is about giving tickets to Muslims who would win. In that both parties (and all parties in the country) are more or less equal - BJP less so since the fear of BJP - mostly cooked up the by the "secular" industry drives Muslims away from it. Thus polarisation is created by the so called secularists as much as anyone else but only BJP bears the blame for it. Plus no party goes out hunting in the community for it to give tickets. If Muslims are not approaching the party for tickets, how can the party just give tickets to them? As to why the Muslims are not approaching the BJP- what can be said? I can only say that Rajdeep, Teesta etc. have been successful in their fear mongering. After all, it is the Muslim who suffers, the rest are having a nice time at theie expense. His fathers forex problems? Now thats interesting. While the programs on Modi bashing is repulsive in CNN IBN, it is no less in NDTV. This is what I felt watching a program on NDTV where they were discussing the subject of Muslim tickets in Gujrat elections." It is becoming more and more evident that the main culprits for religious divide in the country are the Media persons particularly the main line media houses who are concocting and inciting debates with an agenda to intensify the divide. While it is a valid question that the % of Muslims in terms of population is significantly different from the % of Muslim contesting as well as wining candidates. While the question may look valid from the thinking horizon of a 12 year old, it is very clear that if a structured statistical probability modeling is done, it would be clear that when the population is divided 90-10, and there are significant factors other than religion at play for casting of a person’s vote. Therefore, in order to get 10 % of the seats for Muslims, the population of theirs has to be 20% if not more. A discussion (not a debate) of the knowledgeable persons has to be held to deeply analyze the effect of significant psychological and statistical factors contributing to this outcome and thereby identify implementable social and economic policies which can diffuse the apparent anomaly. Handling this subject in such a frivolous manner with each of the participants and more particularly the anchor of the channel, having their own hidden agendas will do more damage to the society inciting divisive tendencies in the social environment, which is anyway polluted thanks to irresponsible appeasements for electoral gains. In a society where you have this skewed % of population you have to necessarily deal with the majority in a manner that they are motivated to accept the minorities as part of them and incentivize the desirable behavior of the majority. Instead if the focus is on the minority as victims and the majority as villains, even a child will know that you will only be intensifying the divide. What the politicians and more significantly the media like this channel are doing is to grout and cement the divisive positions and remove any chance of the minority community ever living in peace as a unified part of the country. This does not mean that deterrents against excesses should not be there. But excesses in spreading hatred like for example Modi bashing this channel is perpetrating, will only do more and more harm to the minorities. Unless these channels have a hidden anti-minority agenda, one cannot explain the illogical approach adopted by them. All these channels are socially immature and India is being irretrievably harmed by children handling the mainstream media. The main problem with the media today is that it is Delhi centric! The aam admi elsewhere does not give a twit to what these media bootlickers think! There is a total disconnect between these rascals and the rest of country! They know less of India than rahul, the heli borne one night rustic! Superb write-up. I wonder how CNN-IBN bills the Congress - is it $10,000 per anti-BJP/Modi tweet or in terms of number of minutes spend on bashing BJP/Modi or is there a MG to cover the cost irrespective of the outcome and then a variable based on whether BJP/modi losses (or wins by a lesser margin). i really wonder how these discussions go about. Needless to say this is strictly off-books. Any guesses for a mock conversation? Shameless morons. Of late, I have started watching Sagarika Ghose shows, what's wrong with her head? She shakes it way too much, some disorder I guess. Anyways, Ravinar bhai, I was wondering if you could update posts on your FB page as well. Being a citizen of Gujarat, I can say that as the polling day nears, a silent and solid campaign is building up in the minds of Gujaratis to vote positively in favour of BJP under the leadership of Modi. Notwithstanding TV and media anti-propaganda, people are talking in wisphering tones to support Modi's leadership. They have no fear or favour to do to Modi. People of Gujarat have seen all round development in Gujarat and wish that Gujarat stays on the progress path. Rajdeep Sardesai made the transition from Maxim Gorky's revolutionary Mother to the charlatan Mother Teresa , and didn't even realize the difference. From communism to being a patron of southern evangelism --- What a journey !!! These MSM wud be beaten black & Blue if they take part in anti modi campaign in Gujarat and work with Congress candiadtes.they can show their solidarity to congress in TV but in practical filed they cant utter a word agaisnt Namo in Gujarat. Fielding Sanjiv Bhatt's wife against Modi is the most moronic thing done by Congress.Are they sending a message that Congress is above a State's judicial process? They could find only an accused's wife for election against the standing CM! Are they saying the other Cong candidates have a worser background? Also I agree the TV media is very Delhi-centric. We have a Union Minister's(Azhagiri) son absconding for months from police but yet to see even a mention on TV. If the family of a central minister has no respect for law God save the country! There's a case sub-judice in SC -- infamous 66A cyber crime act, why there cannot be anti-bias law for propaganda, communal twist reporting of the press -- if we are so lenient about lies and "true-lies" - there must be something to check over-indulgence of MSM's for biased reporting during peace-time -- propaganda per-se are the tactics practiced by the enemies of state during the war-time, if it is done by anybody - as seen and interpreted by 66A as social misadventure and construed a crime --- why not false and propagandist reporting be brought under the scanner of law of the land which in the above case divides and incites communal disharmony be crime against a state which is not at war? I think rather than asking why BJP was not able to find a suitable candidate, a more valid question would be- how much the muslims are ready to come out and have gumption to get nominated by BJP in Gujarat. Asifa Khan is a new entrant and there must've been merits and de-merits in her candidature that only decision makers in BJP can decide. I am not privy to the info about how many muslim members are there in the Gujarat BJP. An election ticket must be based on merit and not based on religion. As Asifa Khan has replied to SG, "A foot soldier from BJP is doing much better than a Congress MLA or Congress MP would have done." This is a very valid statement that reflects on the ticket nomination process. About RS and SG being dumb enough, I guess it is because the media houses reckon that Indian public has been dumbed down enough and is ready to gobble up stupidity of media crooks, so it is ok to lump us with stupidity. When someone ask the question as to why no Muslim from Gujarat got a BJP ticket then I remember Ram Vilas Paswan. He fought one of the Bihar's election with a promise of Muslim CM!! I fear even after 50 years from now our politicians and media would still be debating the same issue of caste and religion. 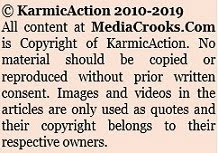 As much as i hate to see it, the inevitable lesson to BJP(and/or conseravtive right) is that they should start their own set of editorialists. It is inevitable for political survival.Country will be divided on partisan propaganda , but the inital steps have already been taken and its only a qiestion of loosing out now. @rohit! Tulika locks such an idiot in those ads. and yeah she is right in one thing. No body has heard and would not buy a a moronic thing called prasidhi ghotola. She is a paid actress. She is just doing her job. Period. @ everybody. why does minorities always refer to muslim, Congress have made just like what ppl have made xerox as an analogy to photocopying. Where does buddhist, christain, parsi, jains stand. Their number is too low to constitute as a vote bank, is that it. You Win, You Win... You Lose, You Still Win..